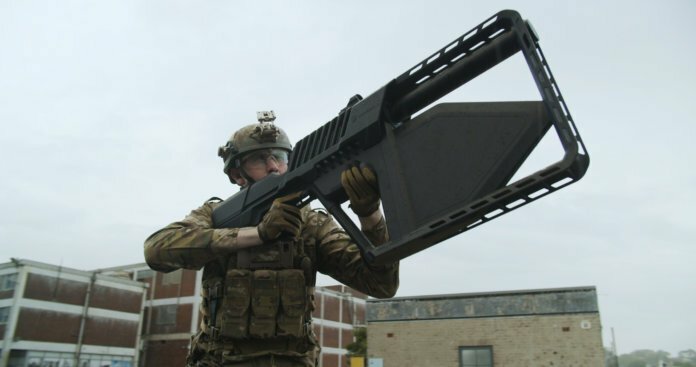 Sydney Australlia and Warrenton, Virginia, USA – DroneShield Ltd (ASX: DRO or DRO.AU) (“DroneShield”), a publicly-traded leader in the emerging industry of drone security solutions, has released a video showing its portable, rifle-shaped jammer DroneGun Tactical™ in action. The release follows a surge in the interest in the counterdrone industry following the recent events at Gatwick Airport, whereby a drone or multiple drones shut down all air traffic at the airport for approximately 48 hours. In addition, DroneShield has released its corporate video, containing a collection of striking footage of drone incidents and on drone threats to the public, as well as footage of a range of DroneShield’s counterdrone products. a deployment of DroneShield’s drone detection system by the British military.